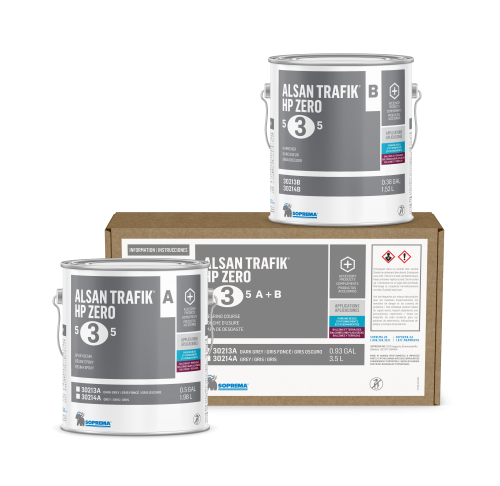 Polyurethane-based, two-component, 100% solids, dark grey or light grey resin used as a protective wearing course or as a finishing layer in ALSAN TRAFIK HP 500 ZERO system. 12 months when properly stored in original unopened containers. 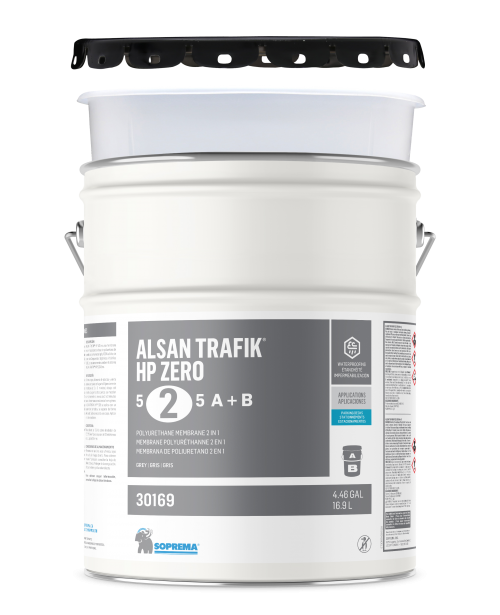 Two-component, 100% solids polyurethane primer used to maximize the adhesion of ALSAN TRAFIK HP 500 systems. 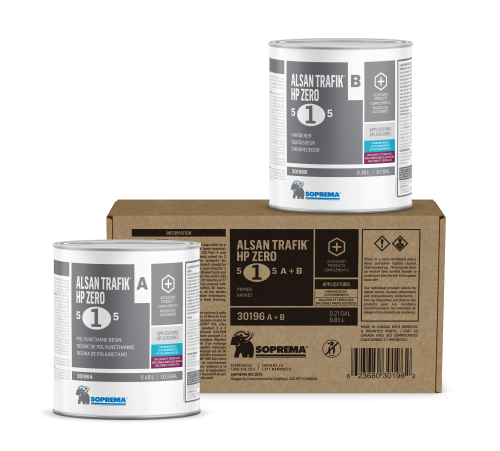 Two-component epoxy primer used to maximize the adhesion of ALSAN TRAFIK HP 500 systems.